Former Chief Creative Officer and President, Global Innovation and Operational Lead of Starbucks Reserve Roasteries for Starbucks Coffee and Founder of AIRVISION, Arthur is known for leading-edge, visionary work in integrated brand positioning, marketing, and design in retail. He is the author of Built for Growth: Expanding Your Business Around the Corner or Across the Globe, which has been printed in six languages. In 1992, Arthur joined Starbucks Coffee Company serving as the Executive Vice President responsible for the planning and execution of Starbucks retail brand design, positioning, real estate, and store growth strategies. His oversight in building Starbucks Coffee into one of the world’s most recognizable brands and spearheading Starbucks expansion globally helped establish Starbucks as the “Gold Standard” of retail branding, concept growth, and quality customer service. During his first ten years with Starbucks, Arthur built a successful, multi-faceted store development and design organization with the talent, in-house processes, and systems necessary to execute rapid expansion. Under Arthur’s leadership Starbucks grew from 100 stores to over 3,800 stores worldwide. Today, Starbucks store development capabilities are revered - the standard by which the industry measures brand presentation, real estate site selection, store design, construction management, and asset management. Arthur participated in creating the Starbucks approach to ensuring the highest quality service levels for customers and was closely involved with the company’s strategic planning. In addition, with responsibility for overall strategic development, Arthur identified acquisition candidates and strategic partnerships to extend the brand and fuel further growth. Such ventures include the well-known joint venture with Earvin “Magic” Johnson, through Johnson Development Inc., to open stores in underserved communities. Co-tenancy/co-branded concepts were also developed with Wells Fargo Bank, Sony, Warner Bros., Mirage Resorts, Crate & Barrel, and Barnes and Noble Bookstores. 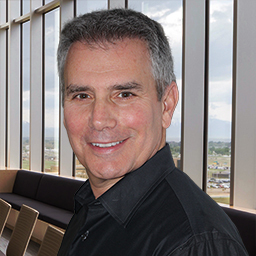 After earning his Master’s degree in Architecture and Urban Design from the University of Colorado, Arthur practiced architecture in New York and California. During this period, Arthur was responsible for the construction of The Palace Hotel. This 55-story hotel tower on Madison Avenue is recognized for its incorporation of Villard Houses (on the National Historic Register), which were redesigned to be part of the hotel’s grand entry, restaurants, and meeting room complex. 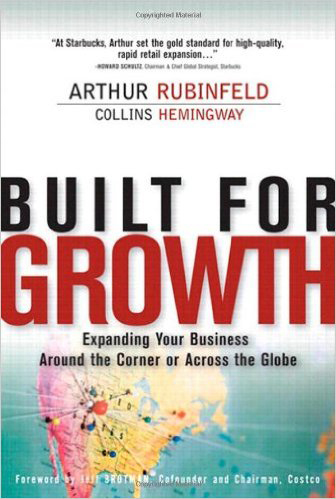 Arthur is well known for his leading-edge, visionary work in the areas of retail design and architecture, and is the author of Built for Growth: Expanding Your Business Around the Corner or Across the Globe. Arthur Rubinfeld: What is the business case for generosity? Arthur works with leaders of startups, publicly traded growth companies, and global turnaround opportunities in confidential, one-on-one meetings tailored to the executive’s goals. There is no one-size-fits-all approach to the kind of challenges and opportunities that leaders face. So, instead of offering mentoring packages, Arthur works with each leader to determine the most effective way to achieve his or her desired results. Mentoring relationships can be short-term, focused discussions to resolve a particular problem or make a specific decision or longer term, ongoing consulting to improve strategic thinking, address leadership challenges, and achieve desired results. Contact us to discuss your specific goals and how Arthur can help you achieve them. Do you have an audience who could benefit from Arthur’s unique insights? Send an email or use the Contact form to let us know. Arthur shares from his experience leading innovative growth and initiatives at Starbucks and consulting for some of the top consumer companies. He’s well-traveled so his information about global demographics comes from personal experience in addition to research. And his creative insight will help illuminate branding, merchandising, and more. The Stafford Foundation - Washington, D.C. Need to get your business on the right track? Looking for an expert to show you the way? In addition to providing business advisory services through AIRVISION, directly mentoring CEOs, and speaking to diverse audiences, Arthur also shared his unique approach to retail growth strategies in Built for Growth: Expanding Your Business Around the Corner or Across the Globe.